Last weekend an ice cream truck drove down my street, which is a rare occurrence. Maybe it was making its final rounds for the summer, since it was Labor Day weekend and school was back in session. It did take me back to my younger days, when the Good Humor® truck made daily stops in our neighborhood all summer long. It was one of the highlights of the day! I loved all of the offerings, from fruity-flavored popsicles to Nutty Buddies, fudgesicles, ice cream sandwiches, etc. What I ordered mainly depended on how much change I had saved or could talk my Mom into giving me. 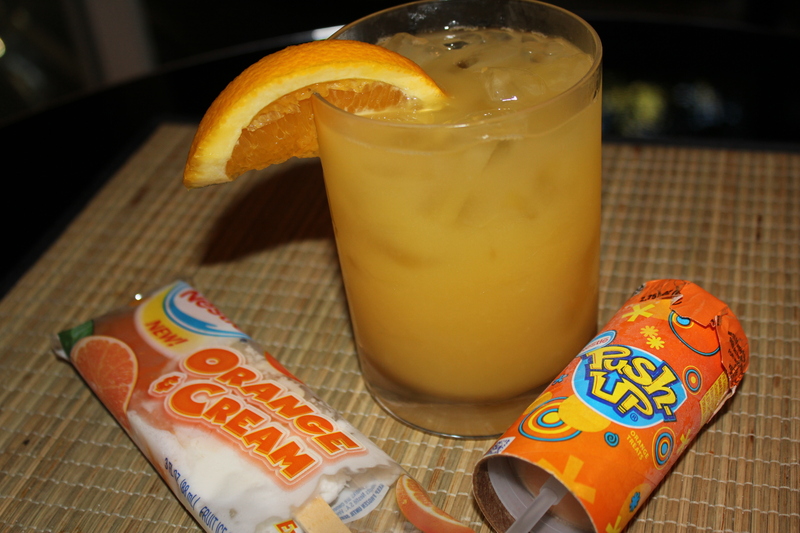 One of my favorite ice cream novelties to this day is a Push-Up® (Creamsicles® are great, too.) 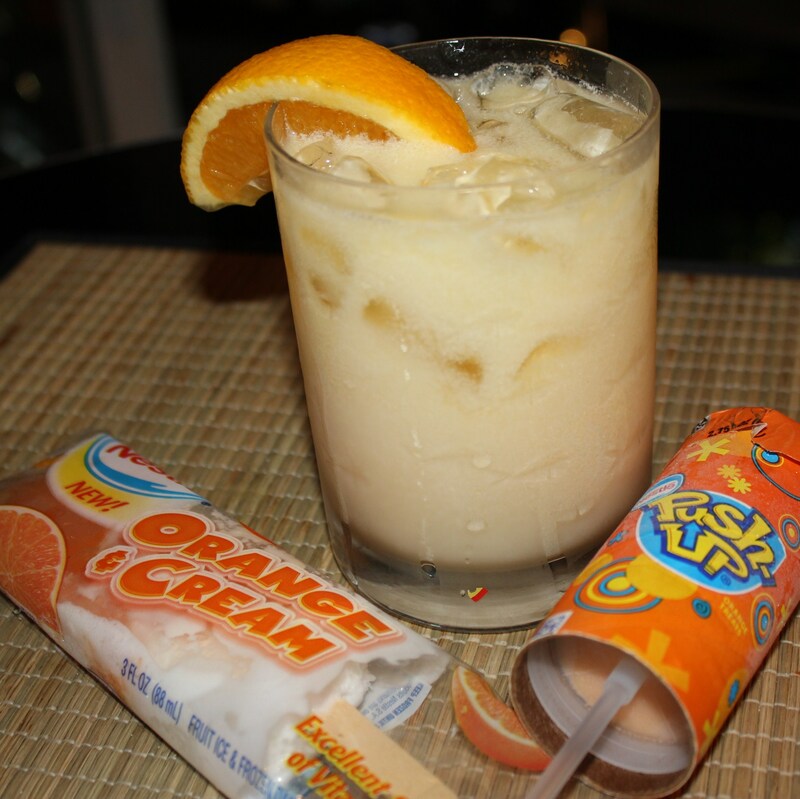 Orange sherbet and vanilla ice cream blended together – yum! 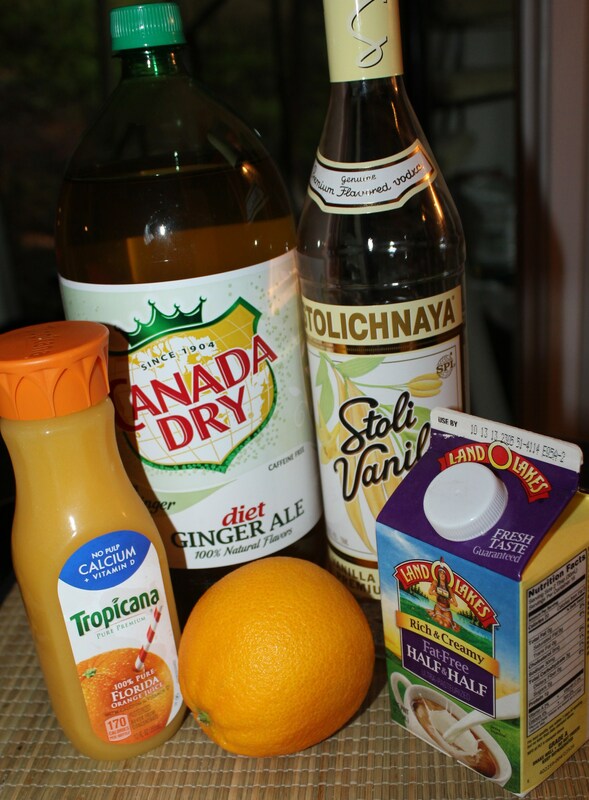 Several years ago, I stumbled upon a drink recipe that tasted just like this wonderful orange-vanilla treat. Since summer is coming to an end, I decided to make a few of these refreshing cocktails to enjoy while the weather is still warm. You only need a few ingredients for this drink. I usually don’t put half-and-half in mine like many recipes call for, and I think it basically tastes the same, with or without it. Fill a glass with ice. Add the vanilla vodka and the orange juice. Top with ginger ale and stir well. Garnish with an orange slice. Or, if you do want to include the half-and-half, add equal parts of it and the ginger ale to the vodka and OJ, stir and enjoy. Your drink, your call. While this drink is not a substitute for the ice cream trucks of my long-lost youth, it is a good replacement! And for those of you who know my opening quote, I hope the song is stuck in your head and you’re happy-dancing to it. Please drink and drive responsibly! 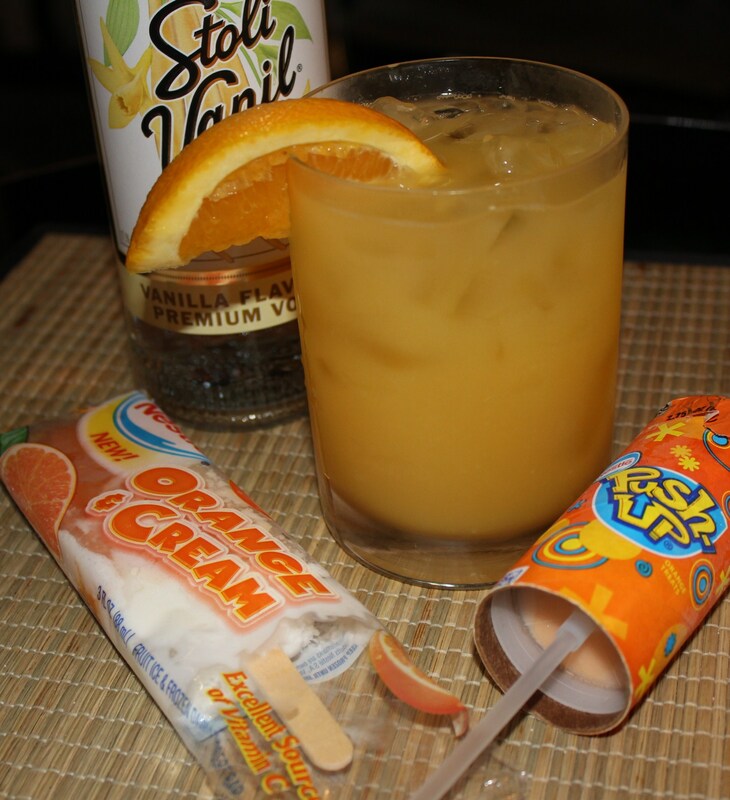 This entry was posted in It's 5:00 Somewhere and tagged Creamsicle drink recipe, eat drink and be merry, Kel's Cafe drink recipes, Kelley Chisholm recipes, Push-Up drink recipe, Vanilla vodka recipes. Bookmark the permalink. I LOVE Push-up pops! Thanks for sharing. They really do hit the spot on a hot summer day! this drink does, too!